This month is full of Christian events, caravaning, a random Bible exhibition and preparing for the launch. In this image Jesus rebukes Satan and the angels then comfort him. This image was released to our patrons on Patreon in all the way back in September 2017! To get exclusive access to pages before anyone else, be part of the creative process and simply support this project please consider becoming a patron from just $1 a month!. We’ve recently returned from New Wine which is a week-long event. The marketplace was open 10:30 am til 6 pm and 8:30 pm til 10:30 pm, so it was a long old week. It went really well though. I met a few of you who backed the project’s Kickstarters and heard some great testimonies of teenagers really getting into it and reading whole books of the Bible in a morning. I took my family with me to this event and the kids had fun in “Ground Breakers” but it was very full on getting them to their groups on time and fed between market shifts. Our new (to us) caravan served us well despite a few teething problems with the battery and such. Welcome to all the new people who signed up to this newsletter there! At the end of this week, we’ll be at a 5-day Christian event near Exeter. So we will see many of you there. On the Youtube channel, I occasionally release videos of my research. This is a recent one about the order of events surrounding the resurrection in the various Gospel accounts, which on the surface seem at odds with one another. If you’d like to come along you can get in FREE with by booking a ticket using this special link just for our customers. Let me know if you take up the offer! Please be ready to add a review of Mark in September! On September 14th the Gospel if Mark will officially launch and be available on Amazon and in bookshops. At that time it would be really helpful if you could leave your reviews and thoughts on Amazon. Reviews and engagement of the book in its launch week will boost the books ranking on Amazon and make it more “discoverable” in searches. This helps it sell which also makes it rank higher and helps kick off a helpful loop on being discoverable and selling on Amazon. Ps. Also we’ll see them and hopefully be encouraged too. 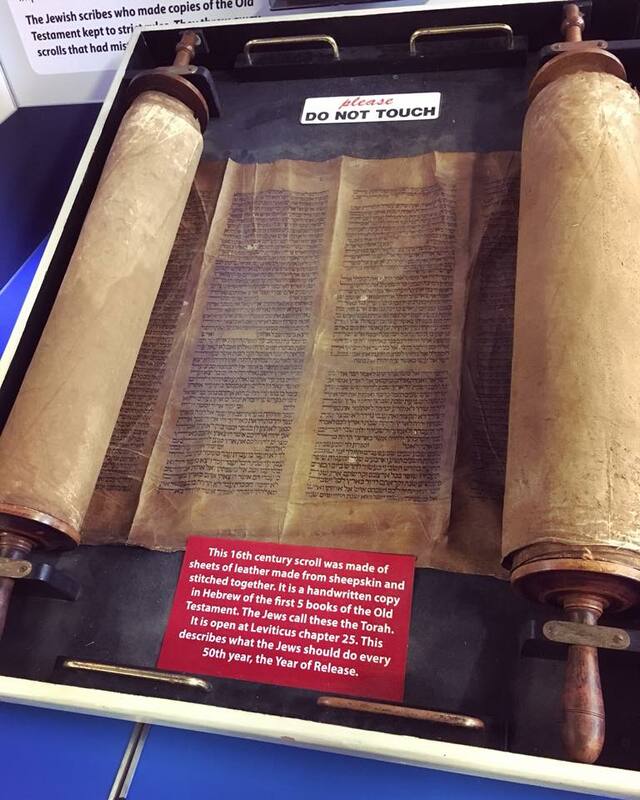 Completely by chance while visiting Oystermouth castle in Mumbles, Wales (of all places), we stumbled upon a Bible exhibition in a local Christadelphian church. We stuck our head in to see and it was actually really good! Here is just one of the exhibits. If you are following the FB, Instagram, Tumblr or twitter you'll see the rest of the photos I took as I post them over the next week or so. 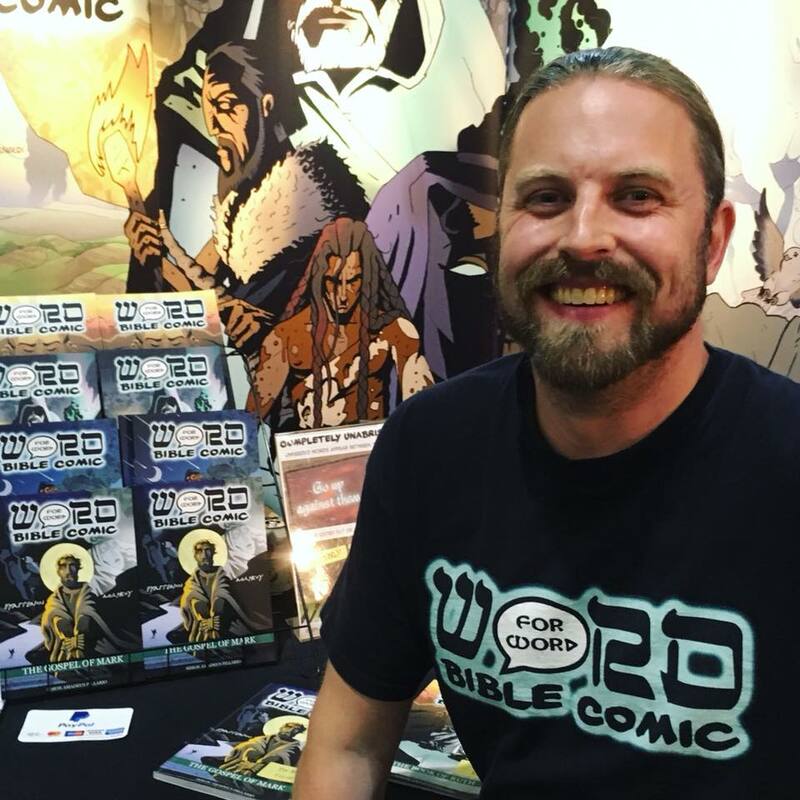 We are really ramping up the promotion of the work this season, so please pray that the Gospel of Mark will get a lot of media attention at its launch and that many people will ultimately read the Good News for the first time through these graphic novels. Also, that we are healthy and very successful at these events and take home some healthy finances to fund the next year of bible comic creation.